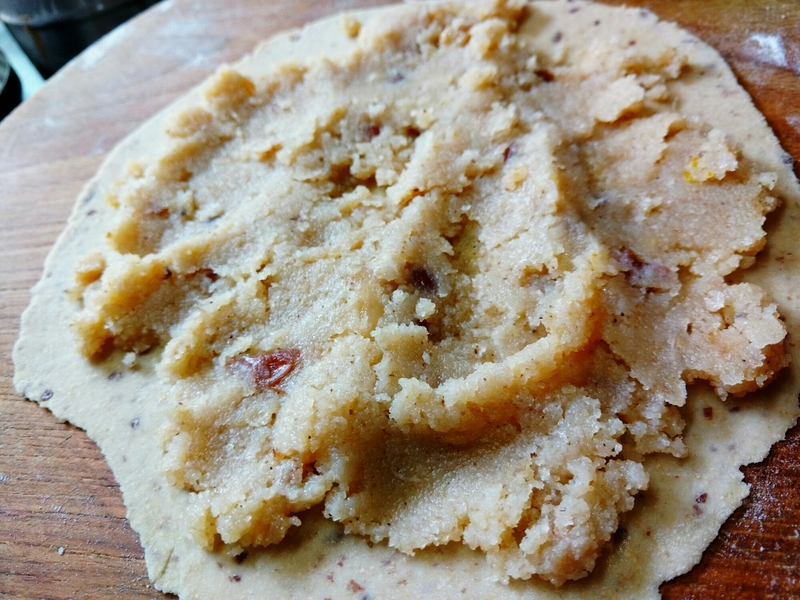 On every possible occassion we make Sheera. Be it a Birthday ..a pooja or any auspicious day, Sheera is made. 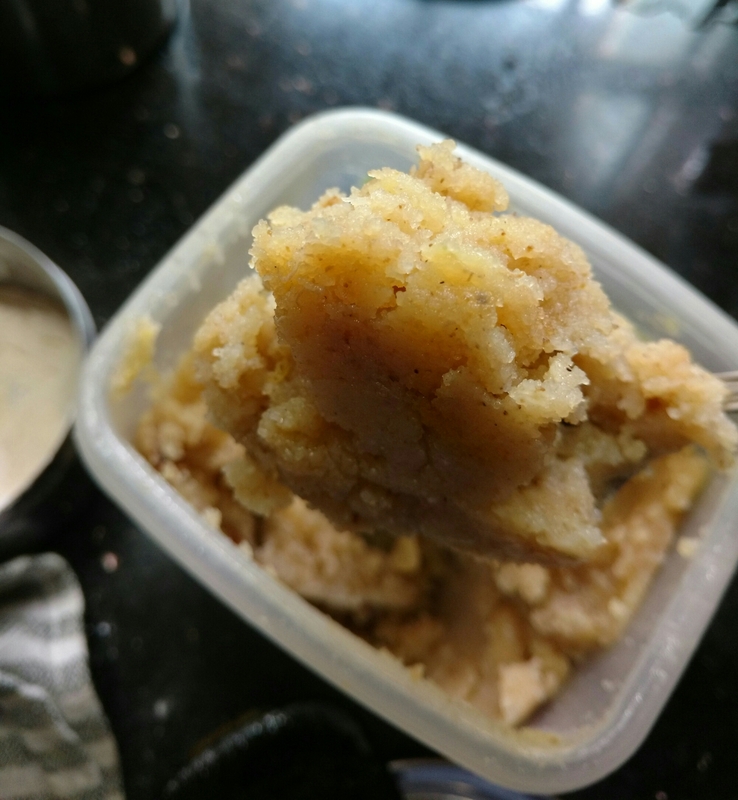 Sheera is a dessert made with semolina (rava) slow cooked in ghee, milk, banana and flavoured with cardamom. Loved by everyone so it is made in larger quantities. So now what do we do of the leftover, after it is relished? 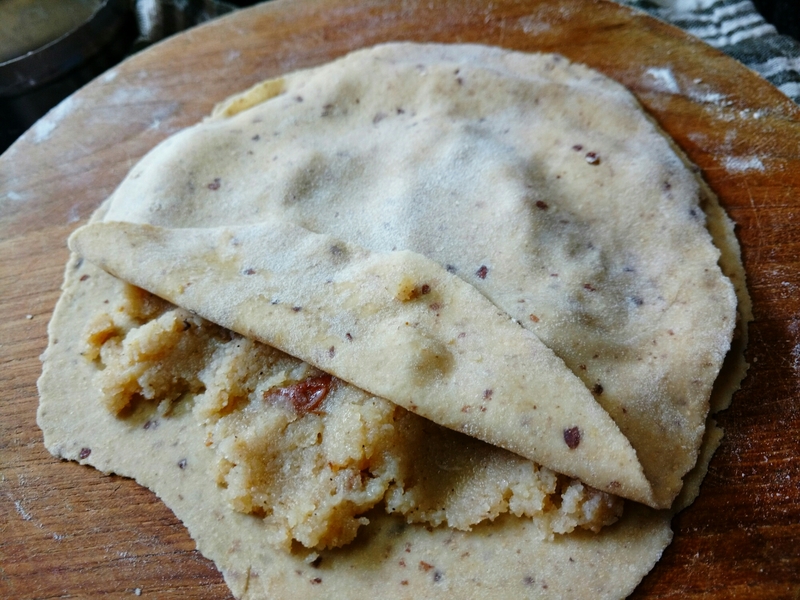 My anwer is I make Sanjoree that is simply stuff it in a paratha like we make the Aaloo paratha. Simple, quick and with a twist of health, here is my take on Sanjoree. Knead the flour with water not to tight. Divide into small lemon size portions. 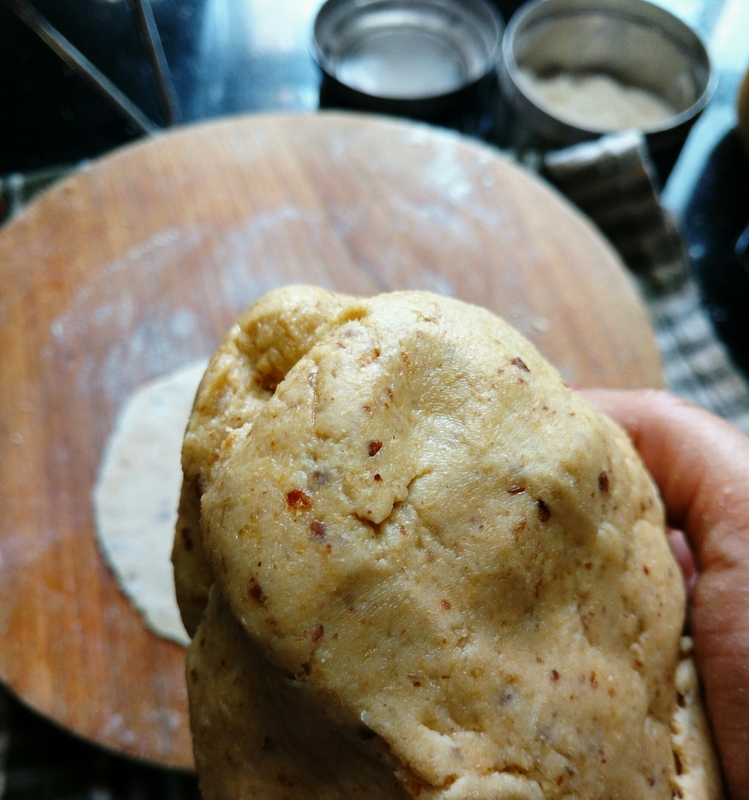 Roll small and thin chapatis, stuff the Sheera, cover it with another rolled chapati. Press it gently and place it on a hot iron or any non stick griddle. 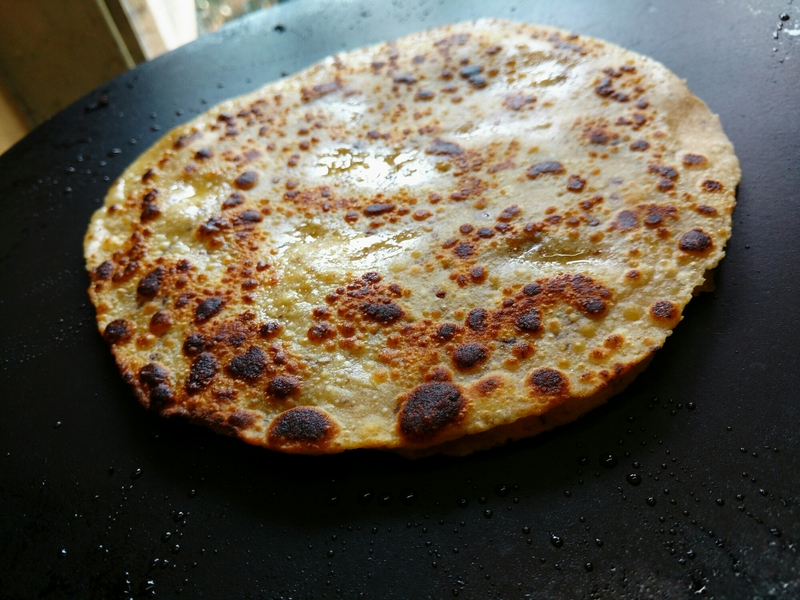 Slow roast the paratha drizzling ghee till it turns golden. Enjoy hot. This is also and excellent option for our little ones break box.